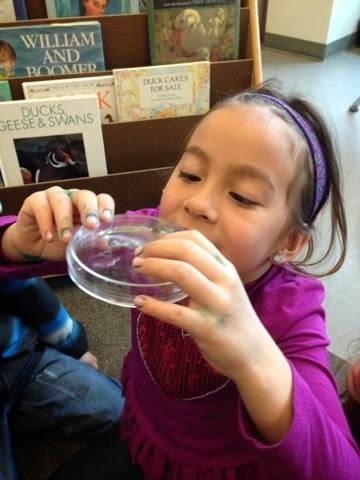 We brought in a bucketful of water from a ditch near Mrs. McLennan's house. 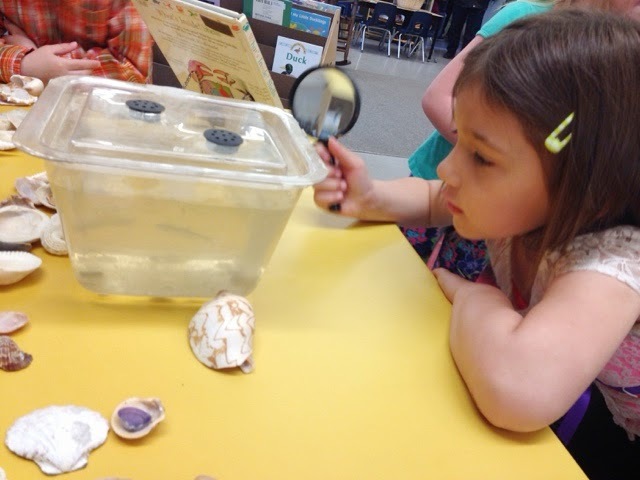 It was so interesting to observe the little critters in it - a minnow, 3 water snails, and a creepy crawly we couldn't identify! 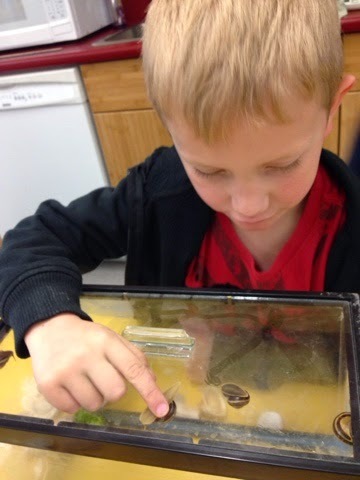 We also had 4 garden snails in another container. 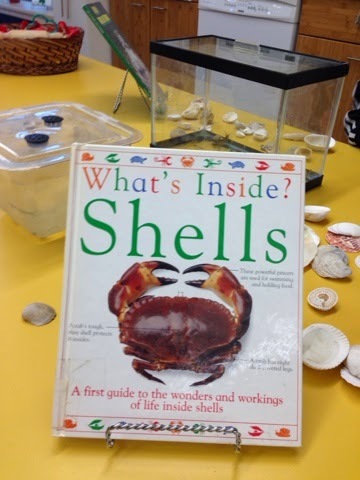 We displayed these at the science area with an assortment of shells and books about shells and pond life. 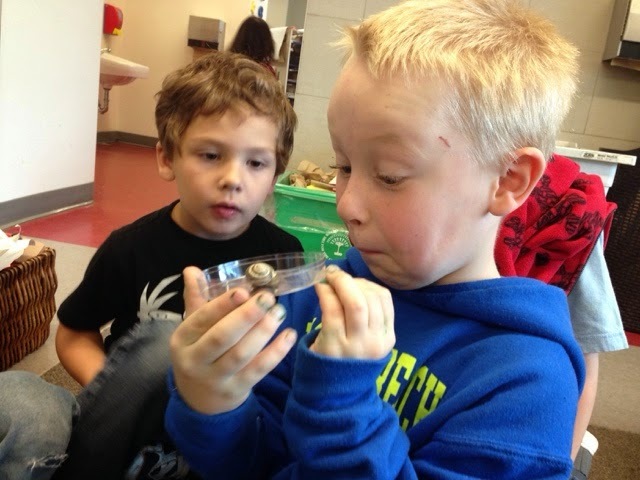 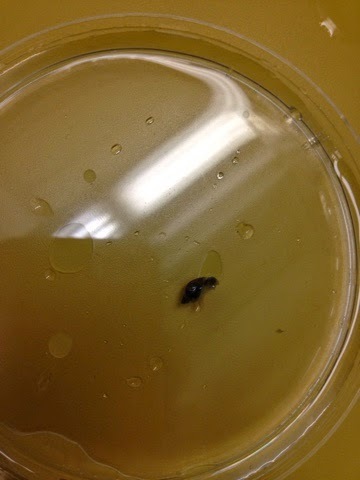 At circle time we placed the two different snails in separate Petri dishes so we could examine them more closely. 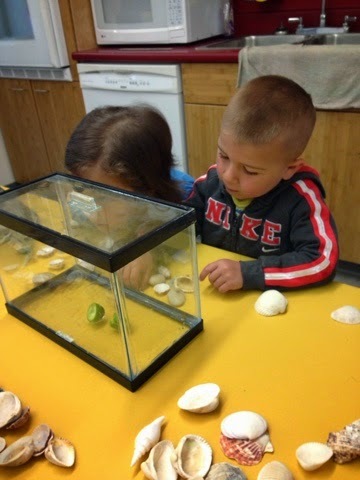 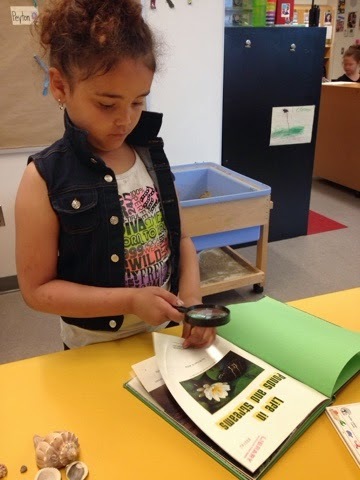 After creating a Venn diagram to compare garden snails to water snails, we placed them back at the science center. 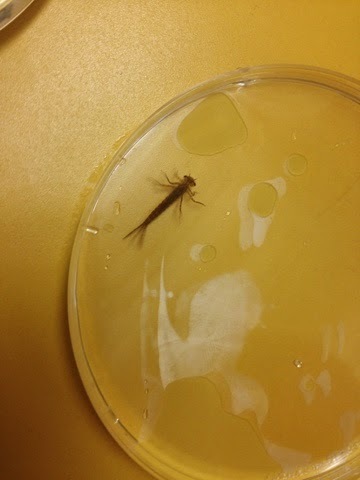 Anyone know what this little guy is? 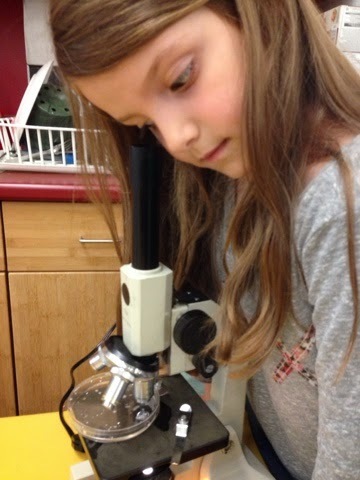 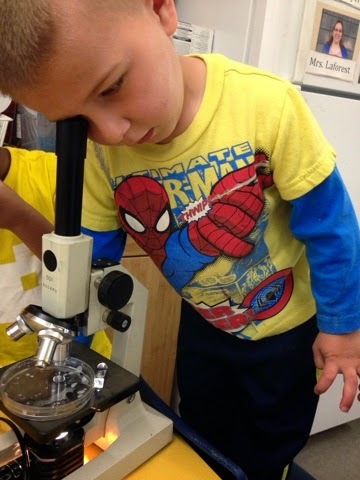 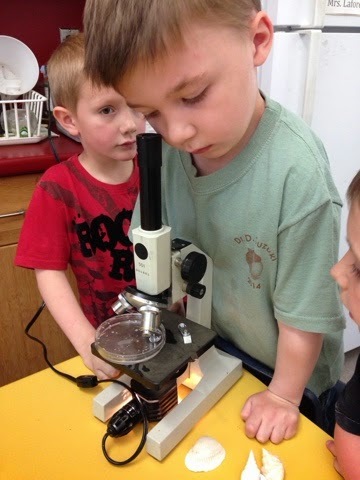 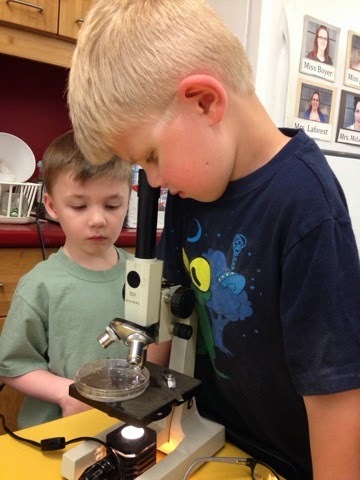 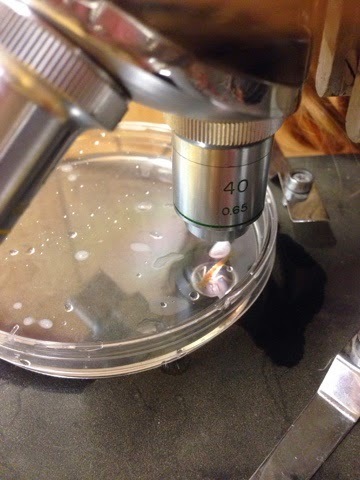 We used a high powered microscope to look more closely at everything. 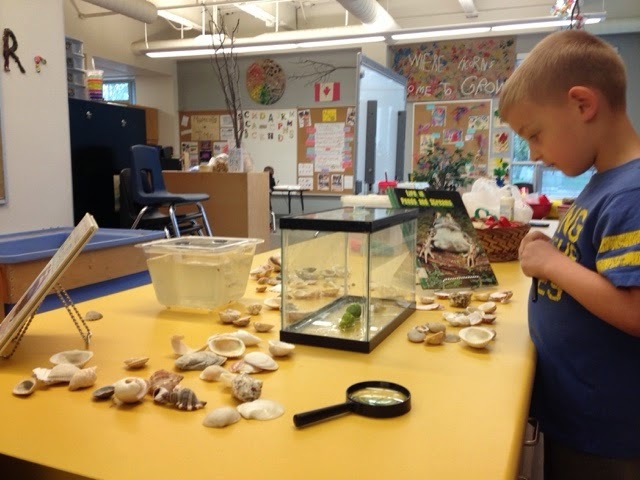 Bringing the outdoors inside, especially on a rainy day like today, can be so much fun! 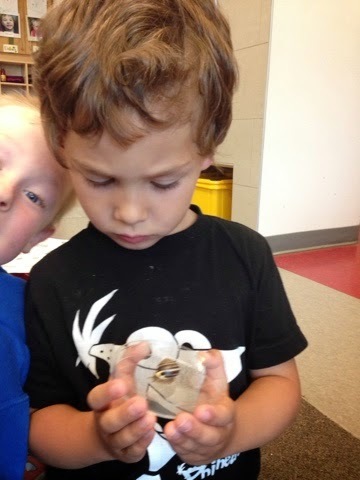 We can't wait until our Painted Lady Caterpillars arrive next week!